A hammer drill is a special type of drill used to drill into concrete and stone. The drill adds impact energy to the spinning motion to break up the concrete as the bit removes it. In general, hammer drills are larger and more powerful than regular drills. The extra gears and hammer mechanism add considerable weight and mechnical complexity. A hammer drill can be used to drill into wood. On most models the impact gears can be disabled. The operation will be considerably less efficient and slower than using a drill. A drill cannot be used to drill concrete. Hamer drill sizing is a function of bit size. The larger the desired hole, the larger and more powerful the drill needs to be. Most hammer drills will be able to drill a 3/8" hole into regular strength concrete. As the power of the drill increases, so does its drilling speed. The larger drills become to heavy to accurately drill a small hole. A good balance between power and weight is needed for the drill to be the right tool for the job. The chuck determines what bits can be installed in the tool. A regular keyed chuck accepts standard drill bits. The bits are the cheapest available, but are generally not as durable as specialty bits. The SDS allows the drill to mount professinal grade SDS drill bits. These bits are higher quality than standard bits, but last much longer. Some hammer drill have a chisel mode that turns them into mini jackhammers. Their low power output does not make them as versatile as a full-size demo hammer, but a hammer drill in chisel mode can still be a useful tool. 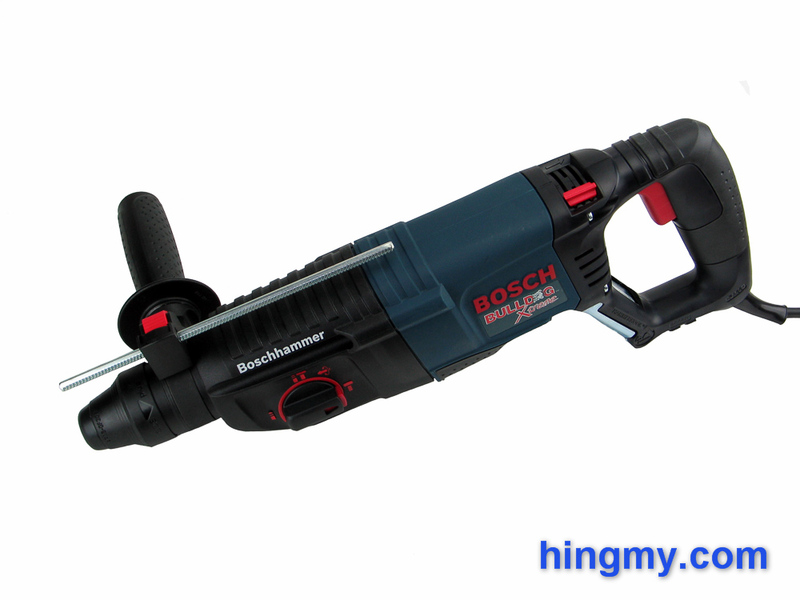 "A bare bones hammer drill for light work that gets the price/performance ratio right. Good if you have only a few small holes to drill." "A solid performer for driving small SDS bits. Brings industrial quality to small hammer drills. Has trouble with large holes, but can go all day."